Tolerates low soil oxygen, flooding, and clay soil but needs moist conditions. 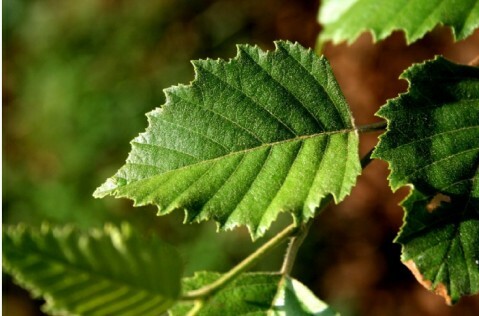 The River Birch is very hardy, grows rapidly, but tends to be short lived in urban conditions (30-40 years), possibly due to inadequate water supply. 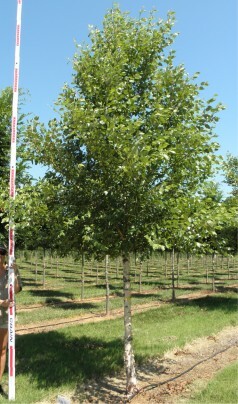 Alternate, simple, and ovate leaves are glossy dark green in the summer and have yellow fall color. 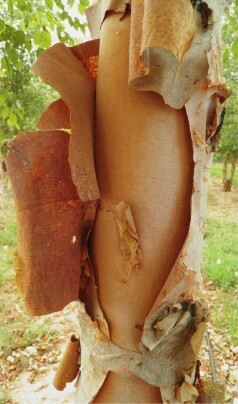 Bark exfoliates into papery sheets and plates, exposing the inner bark.